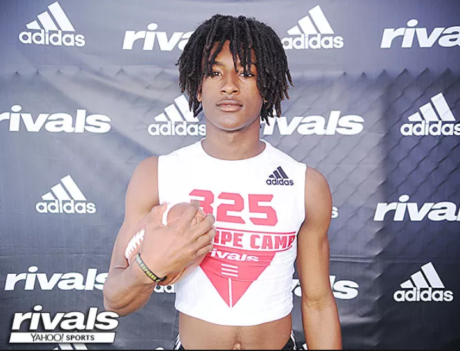 Richmond (VA) Henrico wide receiver Jahad Carter, a Virginia Tech commit, was offered by Michigan. He’s a 6’0″, 185 lb. prospect who also holds offers from South Carolina and Syracuse, among others. He’s a 3-star, the #73 athlete, and #773 overall. 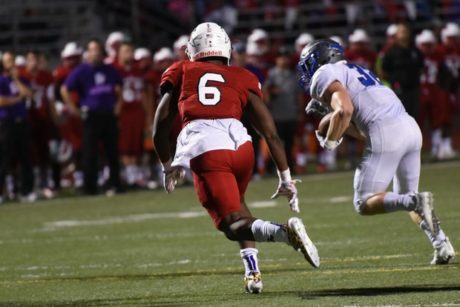 He has been committed to the Hokies since September of 2017. St. Louis (MO) Trinity Catholic offensive guard Ira Henry was offered by Michigan. He’s a 6’5″, 320-pounder with offers from Alabama, Florida, Illinois, and Oklahoma, among others. He’s a 3-star, the #73 offensive tackle, and #845 overall. 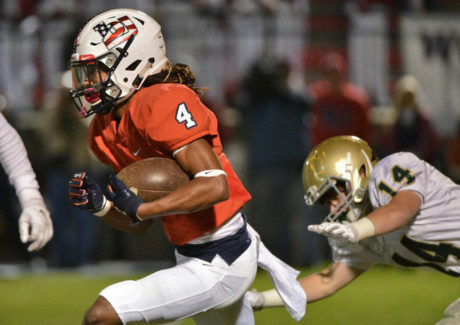 Madison (AL) Bob Jones cornerback Jaydon Hill was offered by Michigan. He’s a 6’0″, 172 lb. corner with offers from Nebraska, South Carolina, Texas, and Texas A&M, among others. He’s a 4-star, the #26 cornerback, and #294 overall. He had 5 interceptions and 26 pass breakups as a junior in 2017. I really like his style of play and I think he would fit in well in Michigan’s defensive scheme. Hit the jump for more on new offers, guys who committed elsewhere, and some top ___ lists that include Michigan.